Kildare's Judy Reynolds has become the first ever Irish Dressage rider to reach the Freestyle To Music Final at a World Equestrian Games, following a brilliant performance in the Grand Prix Special Final last night (Friday) at Tryon, North Carolina in he USA. Riding the Joe and Kathleeen Reynolds (her parents)-owned gelding Vancouver K, Judy improved on her score from Wednesday's first qualifier, to post a score of 73.982% which placed her in the top 15 who make it through to Sunday's Freestyle Final. "I was really, really happy with the test, it was pretty much mistake free. He [Vancouver K] was really with me in the ring. The heat was pretty extreme but he really dug deep and gave me everything he could. There is a lot of Passage work in the [Grand Prix] Special which is good for us - its a nice test to ride. The support from home has been amazing, every day we wake up and there are so many messages, it's just amazing support." Sunday's showpiece finale will see Judy Reynolds debut her new Freestyle test with music from "Lord Of The Dance." 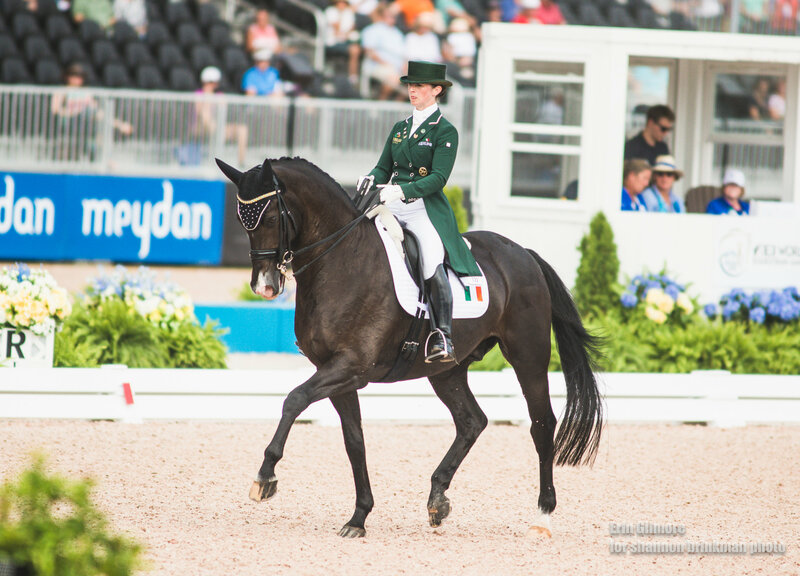 "Judy continues to shine the beacon for Ireland and Dressage on the World stage. Never have we been more proud of our fantastic athlete and horse Vancouver K, affectionately known as "JP." Sunday brings forth the freestyle. JP and Judy will showcase their new music and floor-pattern and go and have fun." The Grand Prix Special gold medal went to Germany's Isabel Werth riding Bella Rose. Werth collected an incredible ninth World Championship gold medal to add to her six Olympic golds. Silver went to Laura Graves (USA) with Verdades, while Britain's Charlotte Dujardin took the bronze with Mount St John Freestyle. Sunday's Grand Prix Freestyle to Music will see three more World Championship medals decided at the North Carolina venue, getting underway at 1.30pm Irish time with the medal winners crowned just before 5pm.